- - Bloggy Blog Blog - -: cai's belly! This picture is from a few weeks ago, my mom was down visitting the boys. Cai said he wanted to look like aunt katie! that's cai! 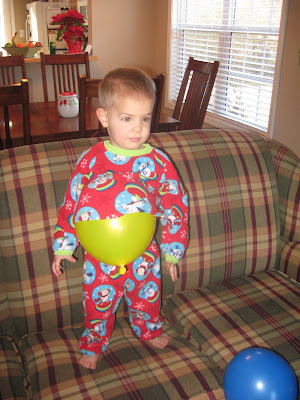 I have a balloon in my belly! - this is what cai said when I showed him this picture!